The 2009 Tour de France winner launched a late attack from the bunch, accelerating away from his rivals to take the stage win at the summit of Alto do Malhao comfortably ahead of Team RadioShack rivals Tiago Machado and Levi Leipheimer in second and third. 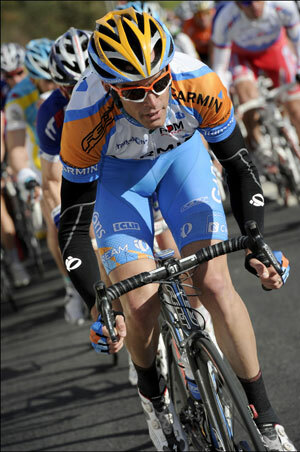 Two stages remain in the five-day race based in the Algarve region of Portugal. Sunday’s final stage, an individual 17.2km test against the clock, will decide whether Contador can defend last year’s overall victory against a collective RadioShack onslaught. Britain’s David Millar (Garmin-Transitions) came in 110th on the stage, over six minutes behind Contador and lies 107th overall. A winner of an individual time trial stage in last year’s Vuelta a Espana, Millar will be one to watch in Sunday’s final time trial.